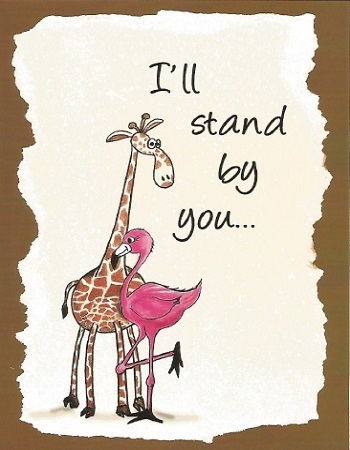 The "I'll Stand By You" Cancer Greeting Card is one of seven different designs with outside and inside messages to share with a family member, friend, coworker, and/or anyone facing (or have faced) a journey with breast cancer (or any other cancer). The card was especially designed to provide inspiration, support, and a bit of humor for anyone facing a journey with cancer such as receiving a cancer diagnosis; going through radiation; taking chemotherapy; undergoing surgery and other related challenges. 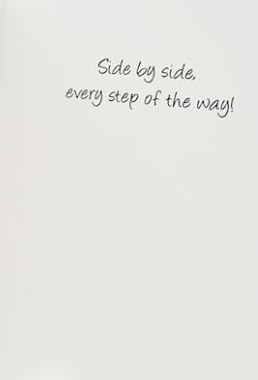 Inside message: Side by side, every step of the way!